Great apartment complexsubmitted by Bianca M. - Aug 28, 2016 |Recommended: YesI love my apartment Everything you would want in an apartment complex Nice and clean and staff is always friendly and willing to help. I have been very happy so far.submitted by Diane B. - Aug 01, 2016 |Recommended: YesI moved in on 4 1 and must say I love the space. I feel I made the right choice. Fantasticsubmitted by Joseph M. - Jun 07, 2016 |Recommended: YesLovely new construction, great apartment layouts, wonderful amenities. Any issues are easily remedied by the friendly maintenance staff. Best apartment complex I have ever lived in. Nice and quietsubmitted by Peggy W. - May 25, 2016 |Recommended: YesLittle pricey but the best in the area. I Love It and glad we moved here submitted by Bahjah D. - Apr 01, 2016 |Recommended: YesIt's a great community development to call home I think all should come, visit or move here. Grounds Maintenancesubmitted by Jeanne K. - Mar 20, 2016 |Recommended: YesI feel at home and safe in my apartment. The grounds are managed well and my maintenance calls are always responded to quickly. LOVE LAUREL GREEN submitted by Kelly A. - Mar 02, 2016 |Recommended: YesAbsolutely love this complex and community. My apt is spacious and gorgeous. The staff here is amazing The location is great. 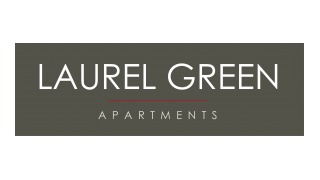 I would highly recommend Laurel Green The only down side is, depending on the building or layout you select will depend on how much you hear your neighbors or don't hear them at all and how well the parking is. Really like it here.submitted by Kenneth T. - Feb 29, 2016 |Recommended: YesIts great you should sign in today. A Great Place to Livesubmitted by Edward L. - Jan 28, 2016 |Recommended: YesOther than my noisy neighbors upstairs, i love it. We are a pet friendly community that allows both cats and dogs. Breed restrictions apply for dogs.